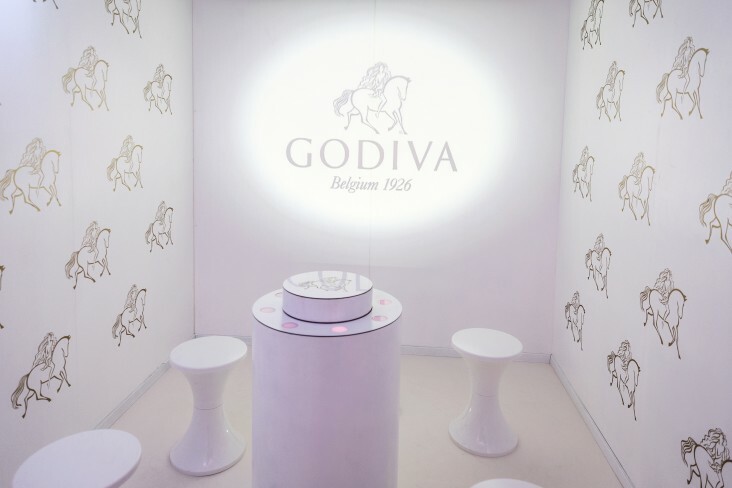 For Godiva’s 90th anniversary, the Nicholasalexander’s team and Condiment Junkie delivered the most comprehensive multi-sensory event ever created. From the moment guests received their invitation, their journey had begun. Every guest was sent a ‘shard’ of a giant artwork in a brand-scented chocolate box, with intriguing instructions on the reverse. Upon arrival they placed their piece on a giant jigsaw. The shards came together to form a giant Oli-B artwork. 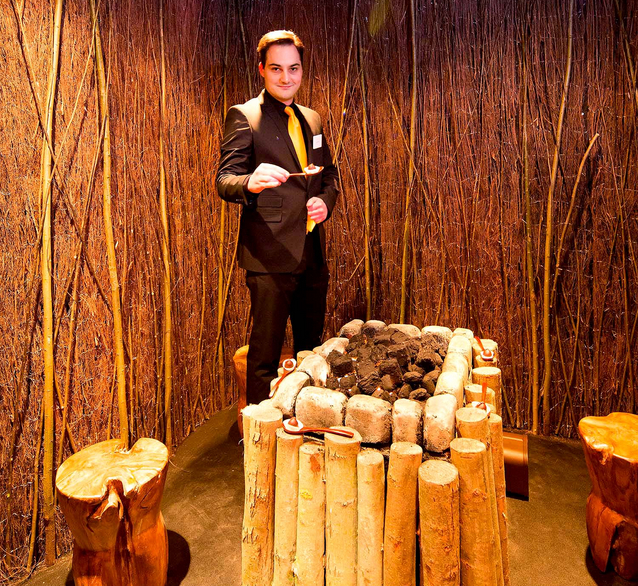 Through this act, every guest became part of the experience. They each received a replica shard of real chocolate as they left the event. 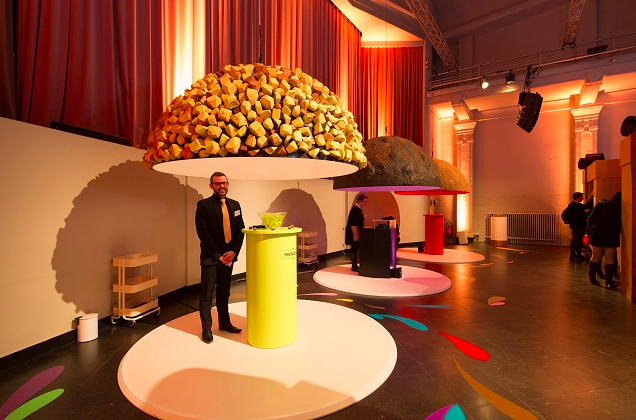 From the coach journey, to the entrance, to the goodie bags guests left with; every element of the event was sensorially branded using sound, scent, colour and material. The evening unfolded over three layers. The first layer celebrated the heritage of the brand and the art of the chocolatiers. A central bar featured live displays from the brand chefs. An aroma organ engaged guests with the many ingredients Godiva’s chef-chocolatiers use to create their amazing pieces. 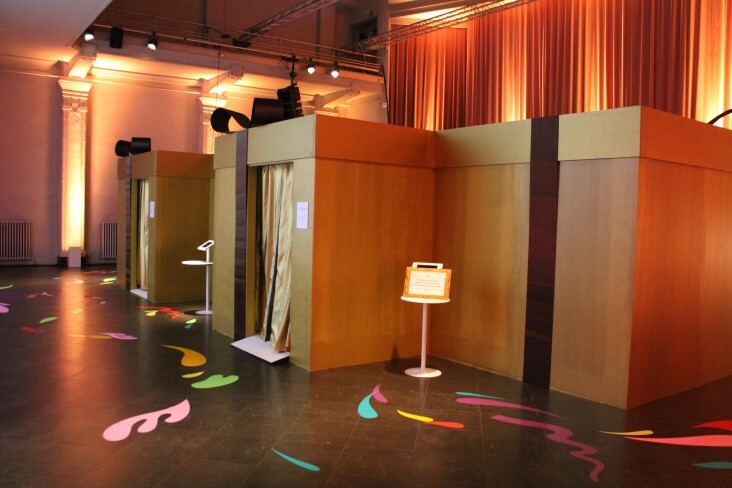 The second layer celebrated a chocolate from each decade of the brand’s journey in an immersive sensory experience. Five ‘chocolate boxes’ and three ‘truffle domes’ each featured a unique sensory environment designed specifically for that piece. The final layer celebrated innovation and premiered Godiva’s new flavour, ‘Rose and Raspberry’. 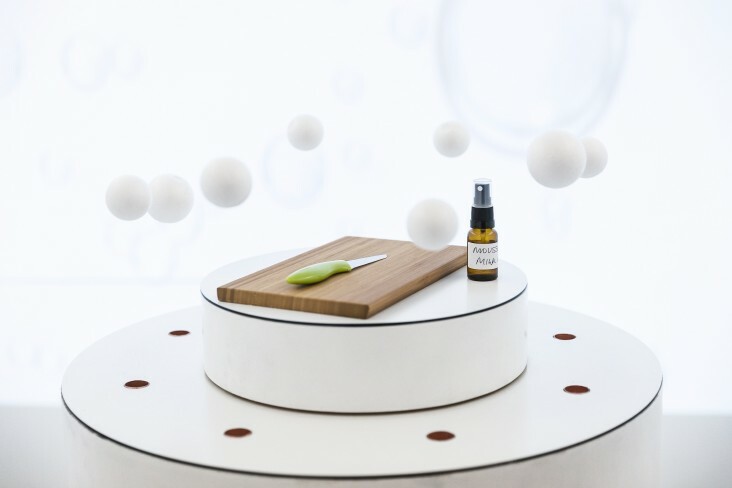 The entire room was dedicated to enhancing the flavours and communicating the inspiration behind the piece. Guests were treated to a three-course meal designed in collaboration with the two Michelin star chef Christoph Hardiquest. Each course had an accompanying soundscape, scent and film projected onto a screen the entire width of the room – 10m wide. It was possibly the most immersive Michelin-starred meal ever created. 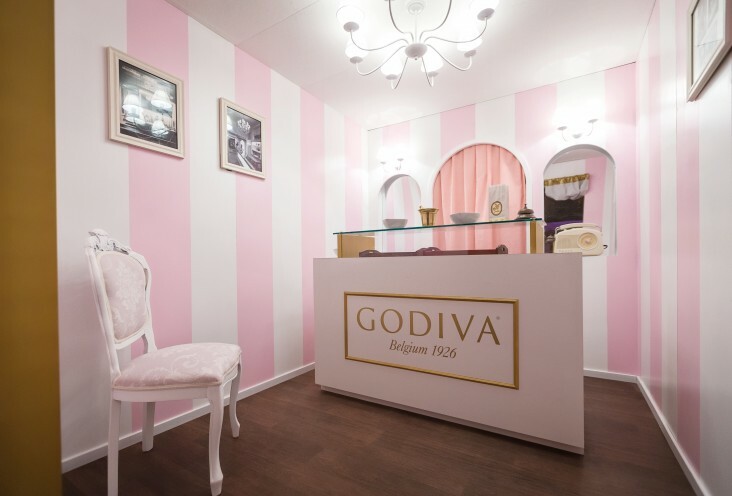 Every element of the event is scaleable and can be activated throughout Godiva’s retail outlets, cafés and global travel experiences. All of the elements fabricated at the Nicholas Alexander workshop in London and then installed in Brussels in only 24 hours. Complicated structures, rare materials and technologies were used to realise the PR concept.